Hot air rises. In the summer, this means heat collects and stagnates in a room, causing your AC to expend more energy to cool your living area. Conversely, in the winter, your energy is going toward heating a part of your house no one uses, such as the attic. What you want to do is get that hot air moving. No matter the season, a ceiling fan or just a portable plug-in fan will help distribute this hot air in a way that will save on both heating and cooling costs. On cold winter days, open up your shades and throw back your curtains to let the biggest power plant in our solar system warm up your home. Conversely, during the summer, keep the blinds down and the curtains closed. Either way, you'll be taking the pressure off your HVAC unit and saving money. We've all been indoors somewhere during the summer where it seemed unreasonably cold, or we wished for shorts in the middle of winter because it was so warm in the office. Just because it's hot outside doesn't mean it needs to be cold inside, or vice versa. Keep this in mind, and in your own home try to aim for comfortable. Okay, this one might cost a little money, but it's worth it! 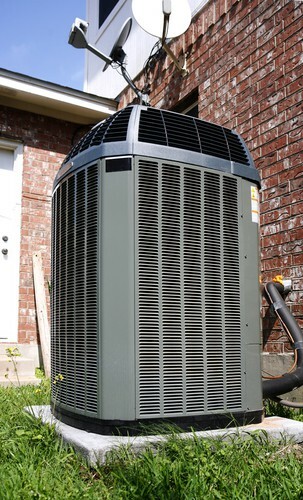 A regularly scheduled tune-up is the best way to ensure that your unit continues to run efficiently. If your unit performs both heating and cooling functions, try to schedule two checkups a year — one in the spring before you use your AC, and one in the fall before you use your heating. If there are problems, you'll be able to address them during these milder times of the year. Exposure to excessive sunlight can cause your HVAC unit to use more energy to cool your living area. Placing it in a shaded area can prevent this, but you also want to be careful about placing it beneath trees or shrubs that can clog the vents and prevent proper ventilation. We all want to keep comfortable at home, and that means ensuring that our HVAC is running properly and smoothly. Hopefully, these tips help you!